Keeping chickens all year round takes a lot of extra effort. It takes more time to keep their water from freezing and having to replace it, sometimes several times a day so they have fresh drinkable water. During the winter months the chickens will often molt, where they will slow down or even stop laying eggs, and lose many of their feathers as they rejuvenate for the new year. 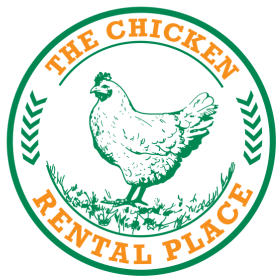 If you don't want to deal with taking care of the chickens while not getting any eggs, a chicken rental is for you. We will bring the chickens to your home in the spring when they have started laying eggs. You can take care of them during the summer months while getting the healthiest and freshest eggs possible. Then when winter comes, we will pick up the chickens and take care of them with our flock during the winter months, where we are setup with electric water heaters and protective coops to keep them healthy. If you have grown fond of your hens, as most people do, and want the same hens back the next year, we can band their legs while they spend the winter with us, Then when spring comes around again, you can let us know when you are ready and we can bring the coop and the same hens back to you and your family. If you are like most people and have decided that chickens are for you, and you can't bear the thought of parting with your chickens, which have become a part of your family, we allow you to adopt the chickens at the end of your rental period. The adoptions include your chickens, the coop and all the other equipment. This allows you to continue caring for your chickens and receiving the benefits of having chickens for many years to come.